Terrible experience. The bar staff were absolutely run ragged. There appeared to be one bloke trying to manage two bars who kept disappearing and various others who would come behind the bar, table service people and then disappear. After 15 frustrating minutes, I was served. I came in for a Timothy Taylor and was delighted they had Boltmaker - a rarity (outside Skipton). It was served almost frozen and was pretty poor. I had fond memories of this place from many years ago, but its either a victim of its own success or run by inadequate staff. perfectly acceptable chef and brewer. As they go, food was fine, beer was fine, coffee was fine (driver!). The Cloud was working too. 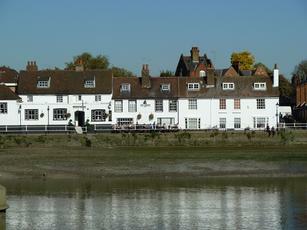 Obviously this pub scores because of it`s setting on Thames. To be fair the staff were very good, even allowing for the fact it was a fairly busy lunchtime. Tesco vouchers came in handy as well! A tip, 4x value for Chef & Brewer if redeeming Clubcard vouchers (�10 multiples). The staff here clearly have to speed up a little but all in all, not bad. I agree with other bloggers, the place needs character but it's clean and tidy at least. Not tried the food yet and as the ale wasnt available the Stella went down nicely. I have to say I must agree with Suartlsaunders, they have done a brilliant job of ruining this pub. 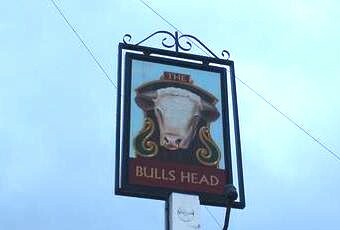 I used to take foreign visitors to this pub as it was an oasis of charm in a sanitised desert. I shan't be bothering anymore nor for myself neither. The more interesting beer choices have gone too. And my wife's sole was served upside-down. I hope whoever has made these decisions is very proud. Attendance seemed to be less than previously too. Nice pub, clean and tidy. Well run. Good staff, mostly foreign (but pleasant and helpful). Fresh food, but they do struugle to maintain standards on busy days (Sundays). All hard workers though!